I can’t imagine a more fulfilling choice of life and career than being an orthodontist, particularly an orthodontist in the great state of New Hampshire! I meet wonderful people of all ages each day and help them attain the smile they’ve always wanted. 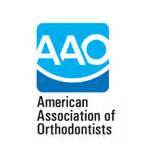 In order to become an orthodontist, I first attained my DMD from Washington University School of Dental Medicine. I then graduated with a Post-Doctorate Master of Science in Dentistry (MSD) for Orthodontics from St. Louis University. I find joy in serving my patients as they sustain their journeys toward great smiles, and I enjoy learning about their individual interests. 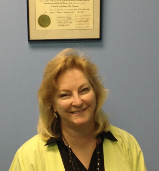 After 25+ years of practicing orthodontics and pediatric orthodontics, I still love what I do! My team is wonderful. We enjoy a fun and playful environment in the office, from the whimsical decor to our friendly atmosphere. My staff has worked at the practice for many years, and they will tell you themselves that they love their jobs! They always strive for a patient-friendly environment, so our visitors enjoy the journey of orthodontics as well as the end result. I’ve lived in New Hampshire for over 18 years and love the seacoast. When I’m not in the office, I enjoy playing with my dog Pip. I also love scuba diving with friends and family, quilting, making jewelry, reading, and working logic problems just for fun! Copyright © 2019 Nyberg Orthodontics. All rights reserved.